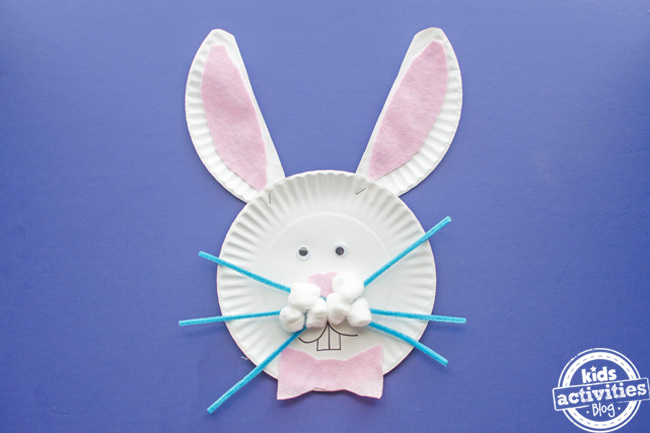 Here’s a cute Paper Plate Easter Bunny Craft that your kids will love making! 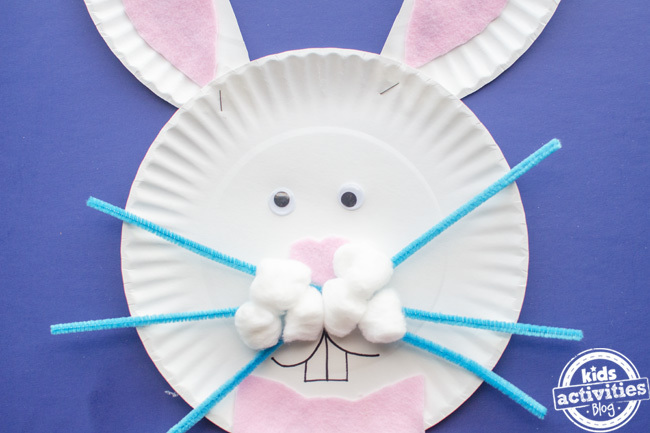 I love Easter and springtime and all things bunnies…and if you do too, then you’re going to want to bookmark this bunny craft right now. 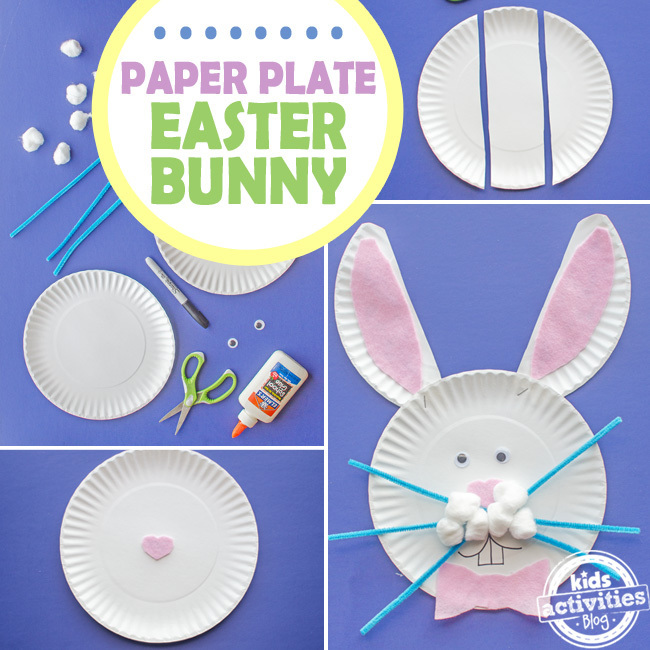 We love paper plate crafts in our home and I know you’ll enjoy displaying this adorable Easter bunny that your kids can make. 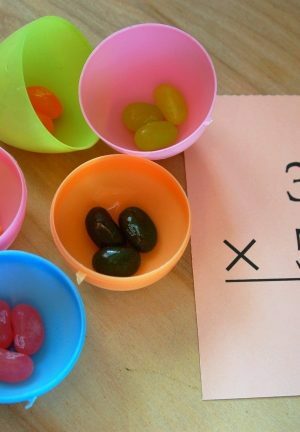 Makes a great preschool Easter craft. 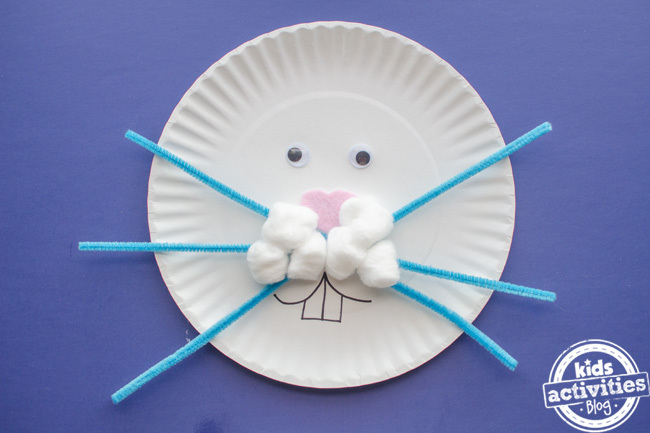 Don’t forget you can also make this super cute Easter Bunny Ears Craft with the kids too! 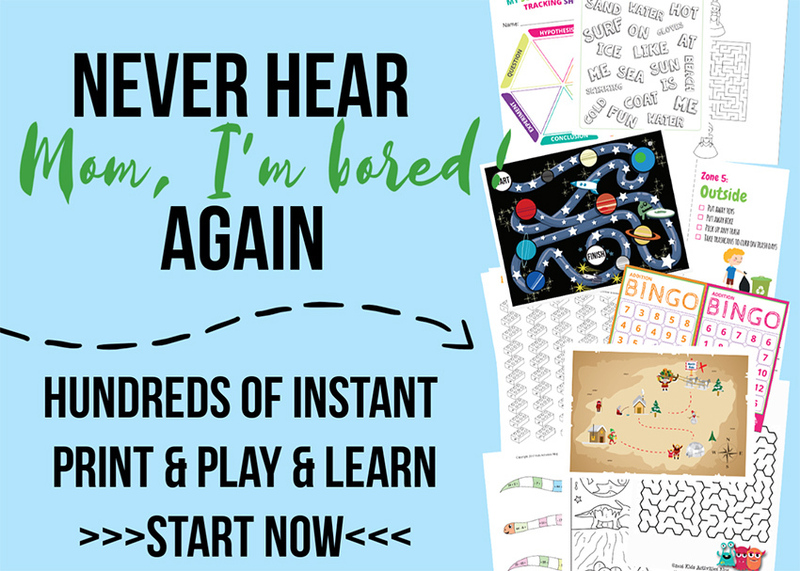 It includes a FREE printable and makes a great group activity or kids craft that can be done alone. 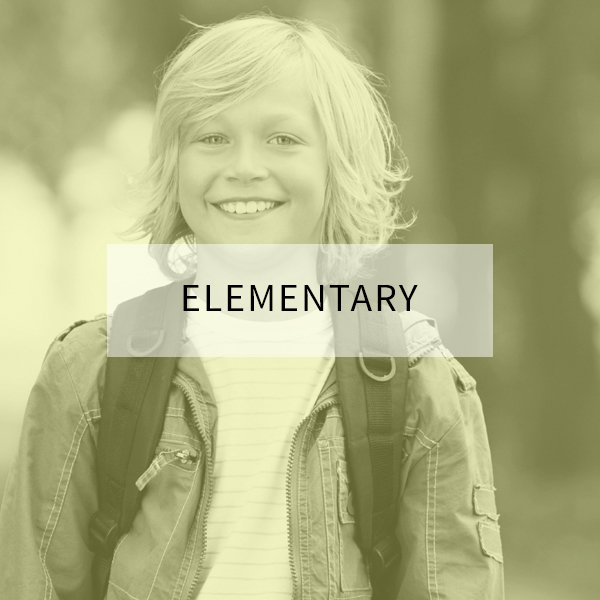 Kids will enjoy coloring and creating their own Easter bunny this spring! 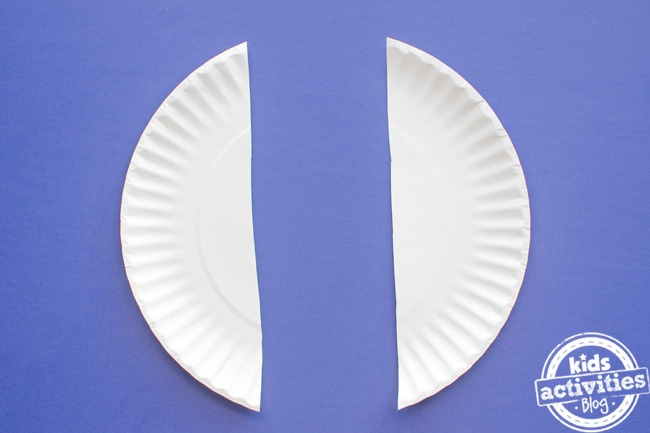 First, take one of the paper plates and cut it into thirds, like shown. 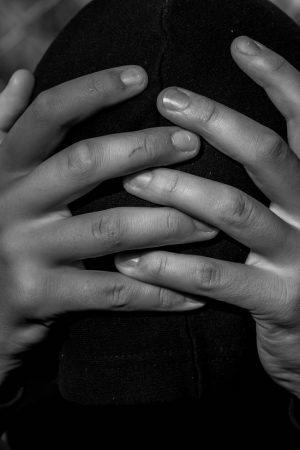 You won’t need the middle piece. The two sides will become bunny ears. 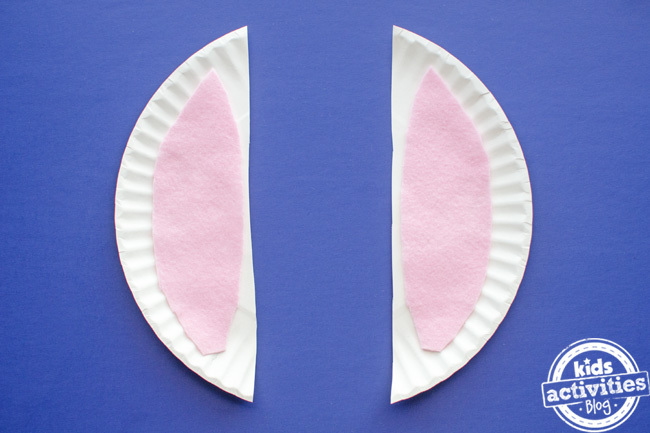 Next, using scissors cut out of the light pink craft felt a shape that is smaller than the ears. This will become the inner part of the Easter bunny ear. I just eye-balled it. 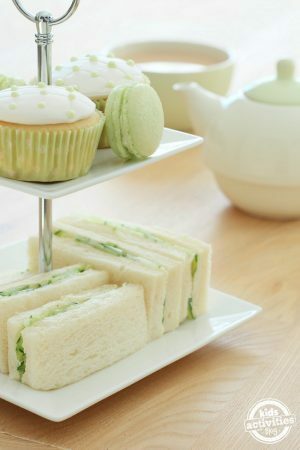 Once you get the shape right, cut out an identical shape from the light pink felt. 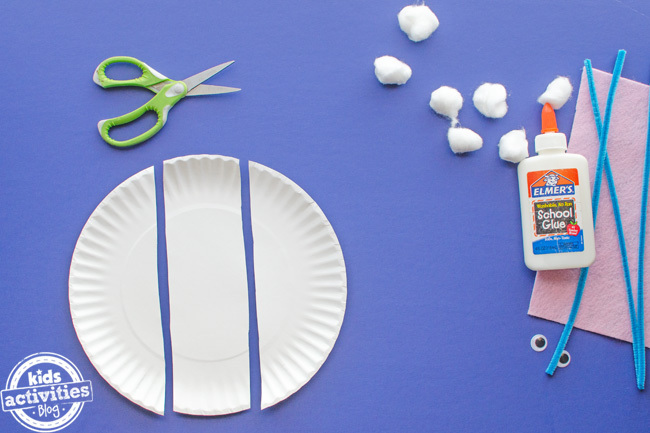 Glue to paper plate ears with the school glue, like shown. Now lets work on the Easter bunny head! 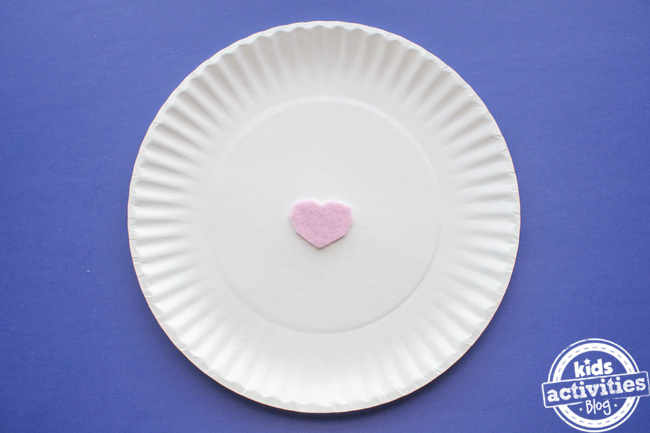 Take the other paper plate and glue a small heart shape onto the middle of the plate with the school glue. 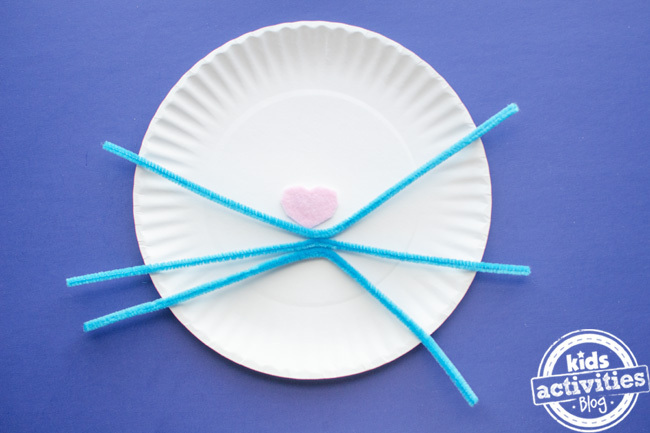 Take your 3 pipe cleaners and glue them just under the nose with the hot glue gun. 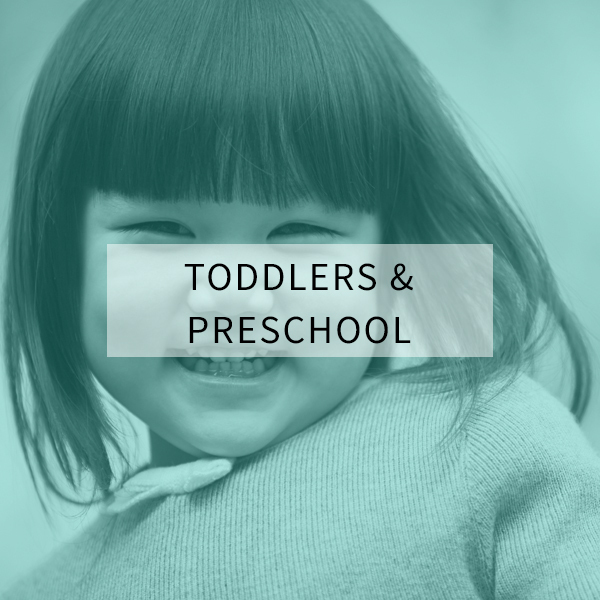 Older children can probably do this part on their own, but a grown up will need to help younger kids. Bend the top and bottom whiskers slightly. 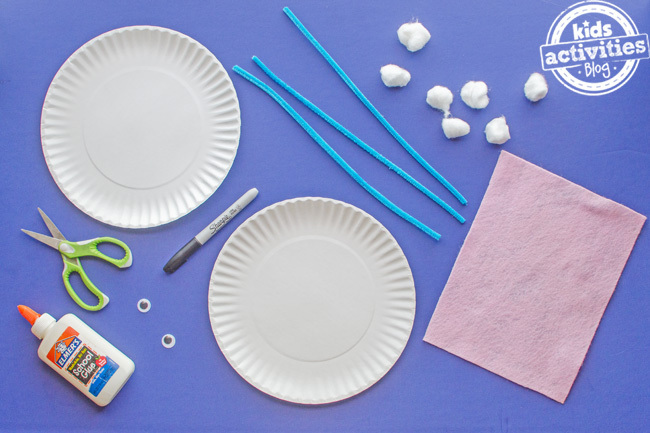 Then glue the cotton balls onto the pipe cleaners with school glue, like shown below. We used 3 cotton balls on each side. Using the school glue, adhere the googly eyes onto the Easter bunny. Then take a black marker and draw the mouth and teeth. 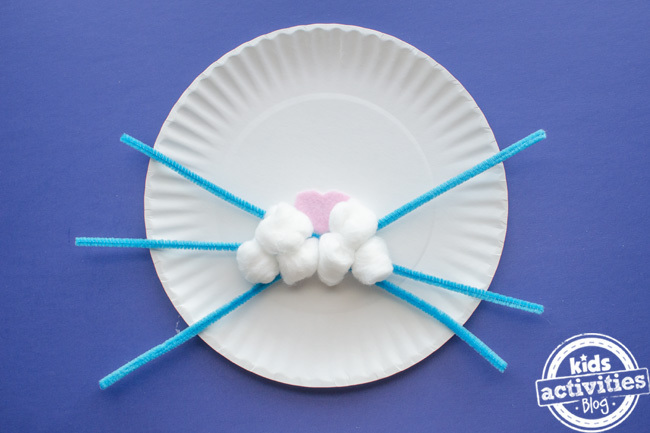 Finally, you can attach the ears to your Easter bunny with a single staple per ear. For a finishing touch I used the remaining light pink felt and added a little bow tie for our Easter bunny. I also rounded out the top of my bunny’s ears. 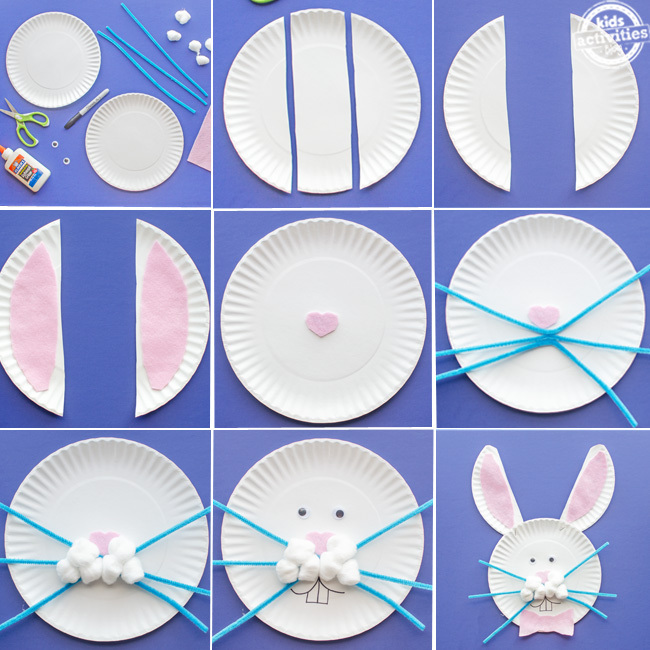 Isn’t this Paper Plate Easter Bunny Craft so adorable?! 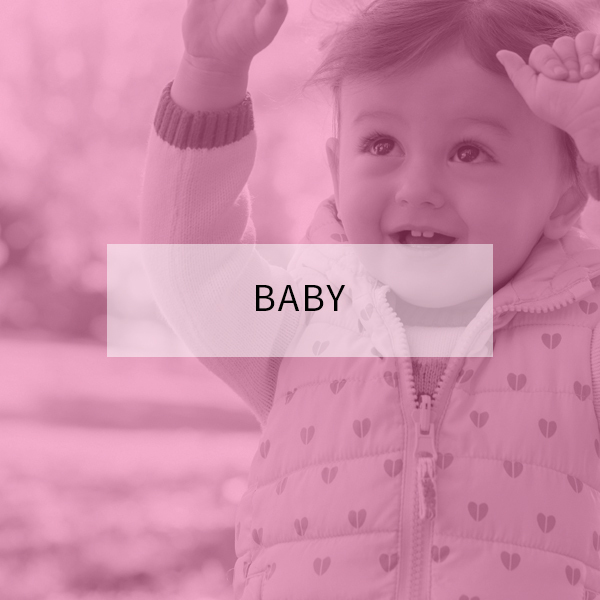 We hope you have much making him as we did! 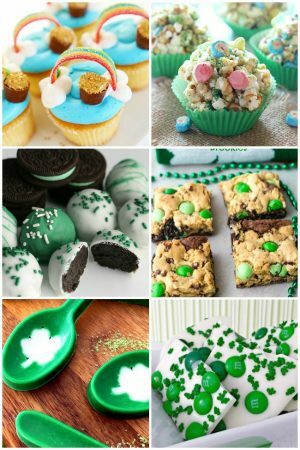 Thanks for the informative post, now i will show this post to my kid who love to make these kind of things. 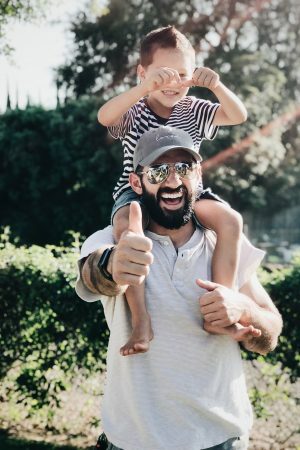 The Easter festival is one of the most important festivals in the Christian calendar, and activities related to Easter are so much fun that you can enjoy with your kids. 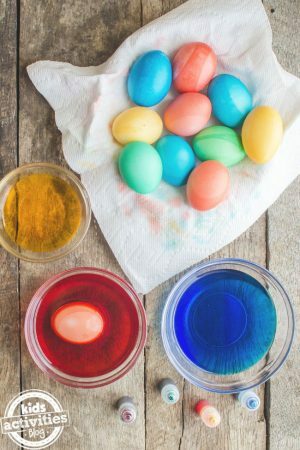 Easter coloring pages are a great option to opt for morecoloringpages.com, which helps to find holidays activities. 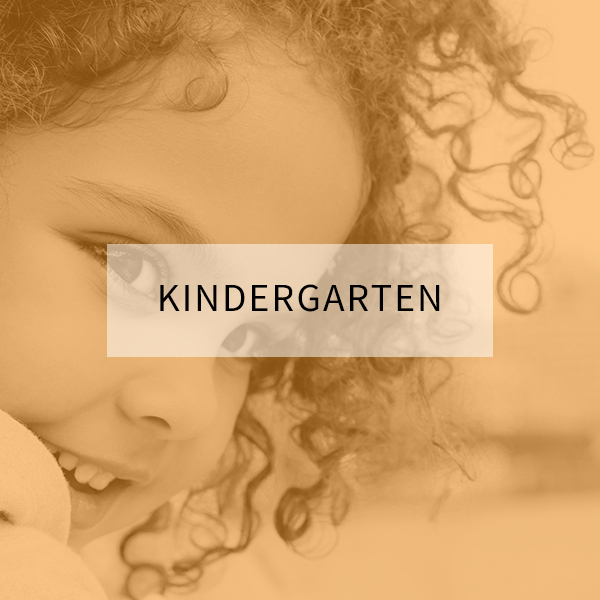 Plz add me on ur list to send me activities to do everyday with my daughter we love doing things together …I love ur blog ..add me plz to ur newsletter ….thank you for great ideas …I am also a teacher.